The first week of a new year is a great time to take stock of your business and see what changes may be needed. 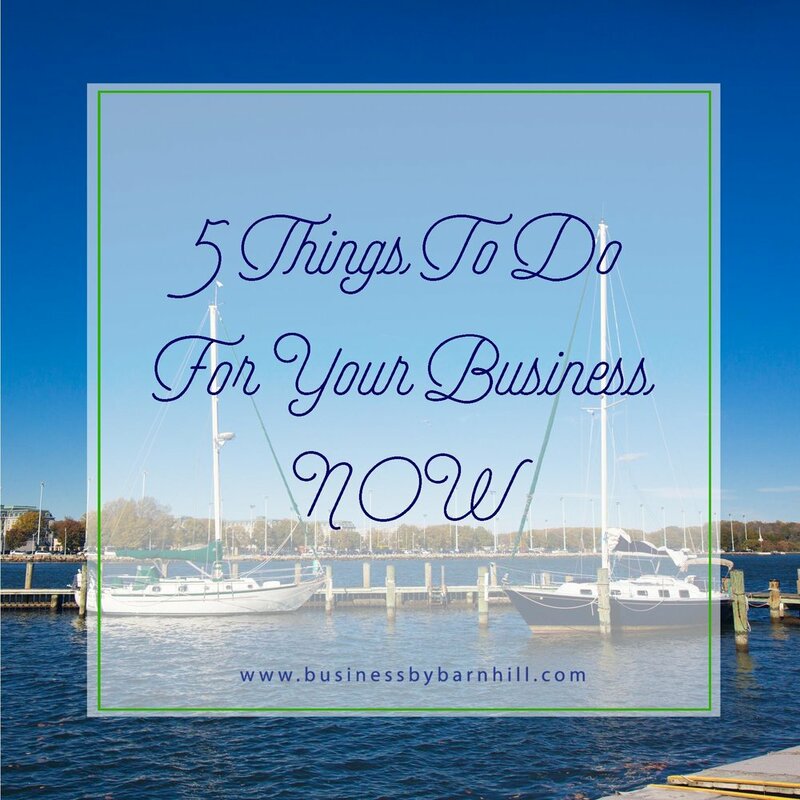 We've put together a list of five things you should do now to make sure you head into 2018 with a business that is ready to succeed. The beginning of the year is the perfect time set goals for your business for the coming year. You may choose to set goals for yourself professionally or personally. Also, we highly recommend putting together a financial budget for the coming year, so you can see how your business is performing compared to your budget and projections for 2018. We've created a yearly budget template and attached it here, so you can get started. Now is the time to go into all of your social media accounts and ensure that your information is up to date. Check phone numbers, email addresses and even your general details or description to ensure the profiles reflect your business for the new year. Also, be sure to check your About page on your website. A lot of business owners have information about the number of years in business, or other details like number of years married or ages of children. Be sure to make sure these are up to date. Each year, you should review your pricing to ensure you are charging appropriately for your services. If you felt overbooked and overworked in 2017, it may be time to raise your rates for 2018. Also, do your research to ensure you are competitively pricing yourself in the marker. As we start a new year, you should take a look at your brand to ensure it is reflecting exactly what you want to project to your clients and potential clients. Has your business grown or evolved over the past year? If so, chances are you need to ensure your brand is still in line with your business. Your logo is part of your brand, so you can evaluate if it needs an update - perhaps new colors or an overall change. Finally, take a look at your headshots and see if they need a refresh. You change over time, so your photos should reflect that too. If you are like me, you don't want to think too hard about the technology you use everyday. I just like my laptop to open up and work. Of course, that type of blind use can lead to problems in the future. The new year is the perfect time to take a look at the health of your computers, printers, routers, phones and more. Also, do you need a new technology or software to be more successful with your business in 2018? Sit down and answer these questions to ensure you aren't left in a dire situation later in the year. Are there any other tasks that you always do at the beginning of the year for your business? I'd love to hear them! If you are feeling overwhelmed or need help with any of the tasks on the above list, please contact us. We'd love to help get your year started on the right foot.